Apparently, a lot of people wanted to slip on a glove and a Wii remote to dance to Michael Jackson songs. I liked Michael Jackson The Experience. There was something awesome about picking up a controller and pretending to be the Gloved One as I did my best keeping up with his (occasionally really freaking hard) dance moves. But I honestly didn't think it would appeal to a lot of gamers, especially with more complete dancing experiences available from Just Dance 2 and Kinect's Dance Central. I guess I should eat my hat as Ubisoft announced today that Michael Jackson The Experience sold through two million copies in the US and Europe. Keep in mind, that's only one platform and the game hasn't even been released in Japan yet. Ubisoft is optimistic that the Move and Kinect versions out later in 2011 (April 12th in N.A. and 14th in Europe) will perform even better. 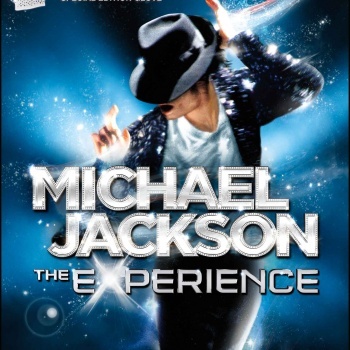 "Michael Jackson The Experience is a worldwide hit and offers fans the game they have been waiting for," said Yves Guillemot, chief executive officer of Ubisoft. "As the leader in the dance game genre, our teams have worked enthusiastically to build an experience that recreates the magic worlds of Michael Jackson's videos and performances. We're looking forward to bringing Michael Jackson The Experience to Kinect and Move so an even bigger audience can enjoy playing the game with their friends and family too." The Xbox 360 and PS3 version will add "Blood on the Dance Floor," "I Just Can't Stop Loving You" as well as some as yet unannounced tracks. You will also be judged on singing in addition to dancing, which will add a whole new difficulty level to the mix. I am out of breath every time I finish "Thriller" so I can't imagine having to actually get out all of the words at the same time.